Ballroom, latin, ballet, folk, ragtime, modern, tap, rock n roll and seasonal themed sessions throughout the year. For all abilities and limitations - EVERYONE CAN ENJOY THE FUN! A specifically designed seated and/or mobile syllabus, people with a range of abilities including wheelchair users and those with dementia can take part. Golden Toes seated dance classes consist of movements that gently stretch and transport your residents back to the feeling they are on the dance-floor. For those who once loved to dance and for those who would love to learn. "WOW!!! 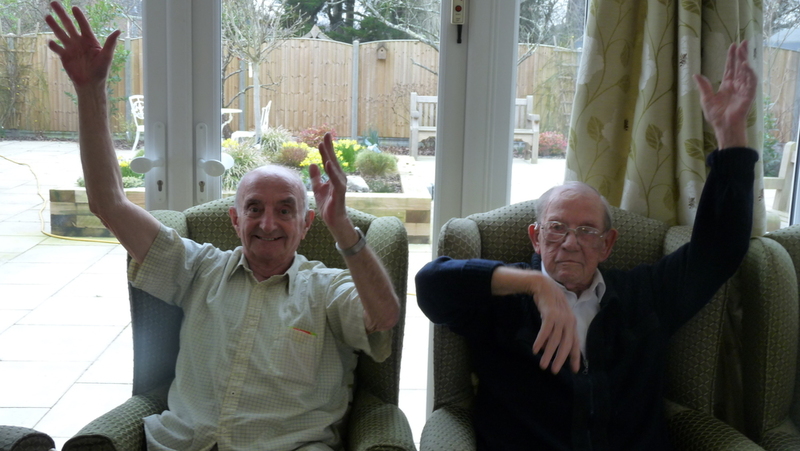 We have just had the most fantastic seated dance session with Breeze. What a breath of fresh air it was. There are a lot of seated music activities you can do but this was a cut above everything I have ever seen. Our residents danced the waltz and flamenco to lovely pieces of music, and Breeze adapted the moves to accommodate our residents abilities. They loved it… and so did I !!"